The market for new payment methods and alternative payment instruments has been the subject of enormous development in recent years. 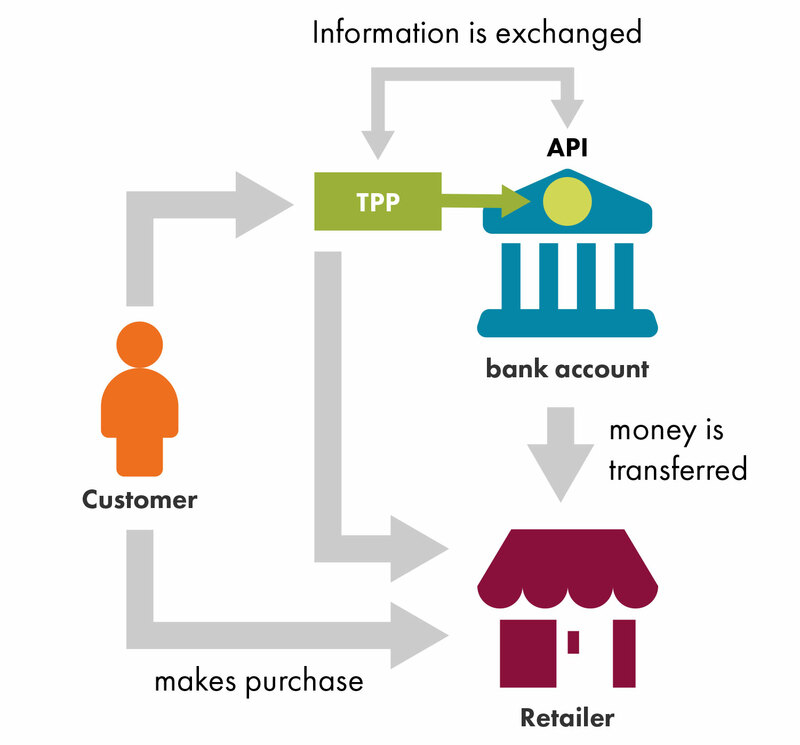 The technical forms of settlement of payments and the devices through which payments may be initiated are becoming ever more diverse: Whereas for a long time everyone carried cash and cards on their person, in the mean-time payment procedures via a smartphone have become an everyday occurrences and discussions now focus on biometric payments and cashierless shops. Payment service providers bear significant risks, which have increasing become a regulatory focus in recent years. There are three supervisory laws that are pivotal with regard to the licencing requirements for such activities: the Payment Services Act 2018 (ZaDiG 2018), the E-Money Act 2010 (E-Geldgesetz 2010) and the Banking Act (BWG). If you are issuing a payment instrument or means of payment, which is accepted by other entities for payment purposes, all three of the aforementioned laws contain provisions for the relevant activities (Article 1 para. 2 no. 5 ZaDiG 2018, Article 1 para. 1 E-Geldgesetz and Article 1 para. 1 no. 6 BWG). With regard to the applicability of these laws, it is particularly dependent on the scope of the network – an important exception exists for limited networks. Further information can be found in the FMA Focus on Alternative Currencies. Services that are provided on a purely technical level are not required to have licences. If however, the technical billing service also includes the transfer of funds via your company’s accounts, a purely technical service does not exist. Billing or payment services may in all their varied forms in the first instance constitute activities addressed under law, if the company handles the funds that are transferred (in particular payment services pursuant to Article 1 para. 2 ZaDiG 2018). Invoicing and payment transactions for third parties on one’s own account do not require a licence in the event that one of the provisions regarding exceptions can be applied. That would be the case, for example, if you were to meet the definition of a commercial agent (Article 3 para. 3 no. 2). Important exceptions furthermore exist for limited networks (Article 3 para. 3 no. 11) or network operators and providers of electronic services for low value payments (see Article 3 para. 3 no. 12). The full list of exceptions can be found in Article 3 of the Payment Services Act 2018 (ZaDiG 2018). Purely technical services are also explicitly excluded (Article 3 para. 3 no. 10). The legal act lists for example data processing and providing of IT infrastructure. The Payment Services Directive II (PSD II – Directive (EU) 2015/2366) transposed by the Payment Services Act 2018 (ZaDiG 2018) has now introduced the regulation of account information services and payment initiation services in addition to the payment services that had hitherto required a licence – these two activities to date having been purely technical services. Third party payment providers are talked about, that are the interface between a payer and bank or payment institution and which initiate payments or provide consolidated account information. Invoicing or bill-paying services are therefore especially required to ensure that their activity does not initiate any payment transactions as defined in the new activities in accordance with Article 1 para. 2 no. 7 ZaDiG 2018. Online platforms that settle payments in connection with the providing of goods, services or investments (e.g. e-Commerce or crowdfunding platforms) may also be subject to licencing requirements. Certain provisions granting exceptions (such as those for commercial agents pursuant to Article 3 para. 3 no. 2 ZaDiG 2018) may become applicable, although whether such transactions are being conducted on a commercial basis may only be answered in a negative manner on a case-by-case basis (!). Some online service providers therefore operate by using cooperation agreements with licenced partners, whereby funds are then not transferred through their company’s own accounts. In this case it is also essential to note that the Payment Services Act 2018 (ZaDiG 2018) also now regulates payment initiation services (Article 1 para. 2 no. 7, see the explanations regarding the billing and bill-paying services above and the point “technical services, servers and data services, and interfaces” further below). Neither the Payment Services Act 2018 (ZaDiG 2018) nor the E-Money Act 2010 (E-Geldgesetz 2018) require a licence for brokerage activities. As a broker or sales partner for new or alternative payment methods and means of payment, you may be subject to a licence requirement, if your activitiy is associated with the brokering of deposit-taking business pursuant to Article 1 para. 1 no. 18 point a BWG (for example in the case of an app in conjunction with a specific deposit/current account). Payment providers are also expected to comply with these due diligence obligations for the combatting of money laundering and terrorist financing, if they provide activities that require a licence and are therefore subject to supervision by the FMA. In this regard, the specific type of activities requiring a licence that a FinTech provides is not significant. The respective applicable laws (incl. Securities Supervision Act 2018 (WAG 2018), Payment Services Act 2018 (ZaDiG 2018), Alternative Investment Fund Managers Act (AIFMG), E-Money Act 2010 (E-GeldG)) refer to the relevant provisions for the prevention of money laundering and terrorist financing contained in the Financial Markets Anti-Money Laundering Act (FM-GwG; Finanzmarkt-Geldwäschegesetz). In the event that a FinTech does not conduct any activities that require a licence, the obligation to comply with the provisions on the prevention of money laundering and terrorist financing may in certain circumstances exist on the basis of the Commercial Code (e.g. in the case of specific activities as a retail tradesperson, a real estate agent, a consultant or an insurance broker). In such cases supervision is not conducted by the FMA, but by the relevant competent administrative authorities. In the event that FinTechs neither conduct activities that require a licence that are subject of supervision by the FMA, nor activities where they are obliged under commercial law to comply with due diligence obligations for the combatting of money laundering and terrorist financing, under the current legislation they are not the intended addressee of these rules. It should however be highlighted that the (contractual) partners of FinTechs are often required to comply with the due diligence obligations for the combatting of money laundering and terrorist financing. You’d like to operate a FinTech or use new technologies? Explain your business model to us in detail and receive information about issues in relation to supervisory law! Use the FinTech Point of Contact to do so.